Caveat Emptor: “Let the buyer beware”. Often used in regards to the purchasing process, it’s a phrase describing any informational asymmetry present in a contractual deal. It implies that the goods sold are “as-is” – placing the onus on the buyer to complete due diligence as to the product’s pedigree prior to purchasing. With the increased presence of e-commerce in industrial distribution, it’s certainly a principle of growing importance that deserves careful consideration when making purchasing decisions. As a wide-line supplier to the food processing industry, Nelson-Jameson carries thousands of verified, quality products across six major categories: Safety & Personnel, Production & Material Handling, Sanitation & Janitorial, Processing & Flow Control, Laboratory & QA/QC, and Packaging & Ingredients. One way in which we bring these items to market is through our website, nelsonjameson.com. Some of our products are proprietary and/or exclusive, but many are not. For example, there are over 2.5 million search engine results for hair net suppliers. Clearly an abundance of buying choices exists, but we are of the opinion that Nelson-Jameson should be your first choice of supplier – we offer competitive pricing, product support and expertise, reliable logistics, value-added services, trusted products and a “one-stop-shop” purchasing experience. However, we digress. This blog entry’s purpose isn’t to promote our strengths, it’s to highlight that sometimes consumer choice – especially through a medium like the internet – comes with caveats. The importance of recognizing these caveats was highlighted in a recent article in 3-A Sanitary Standards, Inc.’s quarterly industry newsletter. 3-A is the industrial sanitary standard relating to the “cleanbility” of dairy and other food processing equipment. It was developed by processors, regulatory sanitarians and equipment fabricators in the 1920s; and, in the interest of public health, gained the support of the U.S. government in the 1940s. Currently, there are 71 3-A Sanitary Standards and 10 3-A Accepted Practices utilized in various capacities by more than 450 companies across the globe. Processors know and trust the 3-A Symbol, and often demand it for their food processing equipment. Nelson-Jameson sells sanitary equipment in our Processing & Flow Control department that meets 3-A Sanitary Standards, and also holds a 3-A certification for our hose assemblies. 3-A Sanitary Standards, Inc. recognizes the internet as “a convenient way to streamline the equipment search and selection process”, but warns that some ‘3-A’ product claims aren’t legitimate. So, how do you know whether the equipment you are purchasing is really ‘3-A’? First, make sure that the product description and/or model name uses the specific designation of “3-A”. Some online retailers tout their products as meeting or conforming to “3A” or “AAA” standards, which is misleading. 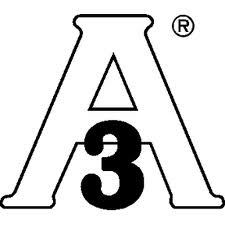 “3-A” is the correct way for a retailer to suggest that equipment is properly licensed to display the 3-A symbol. Next, insist that the equipment displays the 3-A Symbol. The 3-A Symbol is a registered mark used to identify equipment that has met 3-A Sanitary Standards for sanitary design and fabrication by passing a comprehensive, independent Third Party Verification (TPV). Finally, verification of 3-A certification can be made by searching certificate holders on 3-A Sanitary Standard, Inc.’s website. So the next time you’re browsing the internet for products or equipment for your plant, do your research and confirm that you’re purchasing verified items from a reputable dealer. This is especially critical when dealing with food processing, as using faulty or unsanitary product or equipment could prove hazardous and effect your company’s reputation and financial well-being. Caveat Emptor. This entry was posted in Processing & Flow Control, Production & Material Handling and tagged 3-A, 3-A Symbol, 3A, 3A Symbol, hose assemblies, sanitary standards, Third Party Verification, TPV. Bookmark the permalink. Follow any comments here with the RSS feed for this post. Both comments and trackbacks are currently closed.